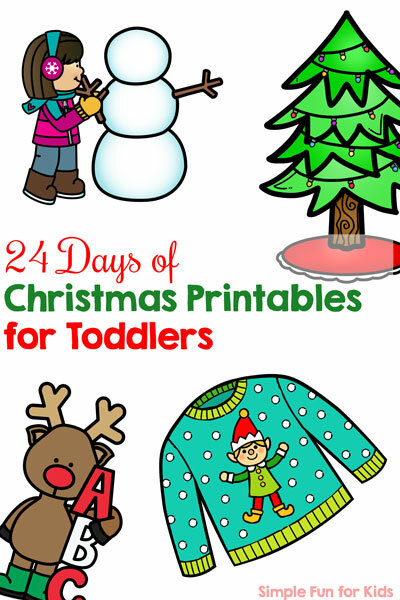 I have a super popular 24 Days of Christmas Printables Christmas Countdown that I launched last year. It has turned into a huge pack with 52 activities on 235 pages because I added extra printables to give a choice of things to do each day. Most of that content is more appropriate for preschoolers (and maybe older toddlers) than my little guy. He’s 2 years and 4 months old right now and starting to get interested in numbers and letters. So this year, I’m doing a new series with him and others his age and developmental level in mind: 24 Days of Christmas Printable for Toddlers. I’m looking forward to hearing about what you do with the series! I want to know how you use the printables, so take some pictures and share them with me on my Facebook page or tag me and use hashtag #sffkadventcalendar on Instagram! 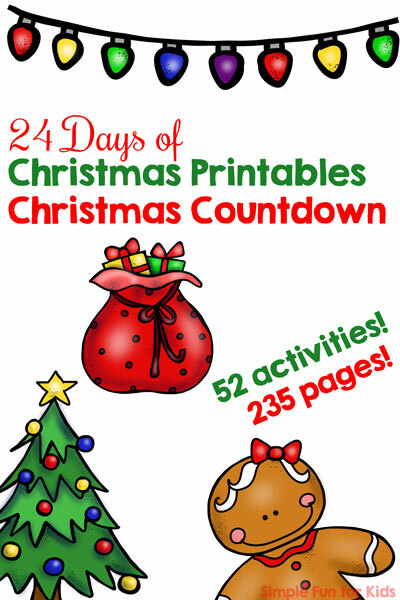 Get the full 24 Days of Christmas Printables Christmas Countdown now!